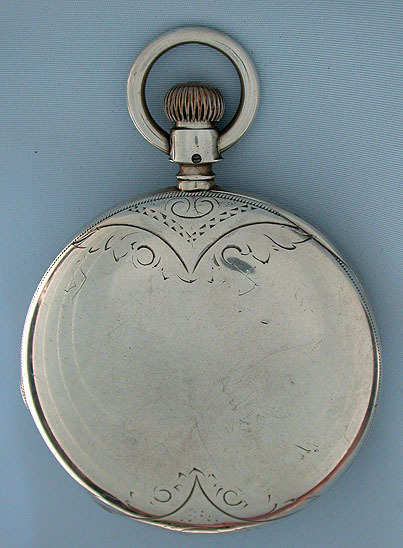 Rare oversized American 8 ounce 67 mm coin silver Tucker's Granger antique pocket watch circa 1875. 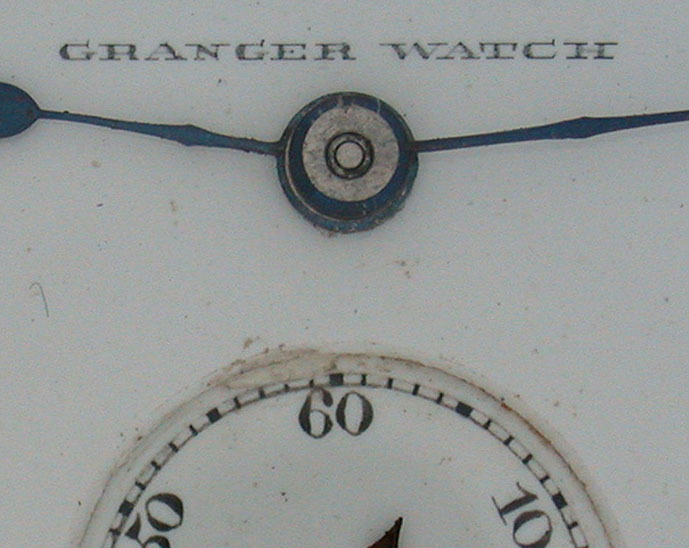 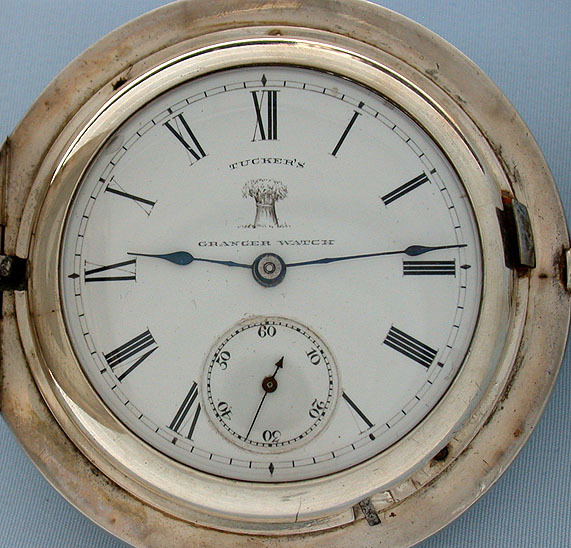 White enamel dial (imperfection) with blued steel hands. 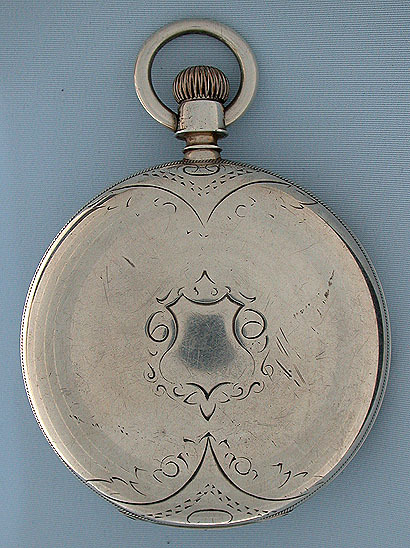 Massive hunting case with much of the original engraving still visible. 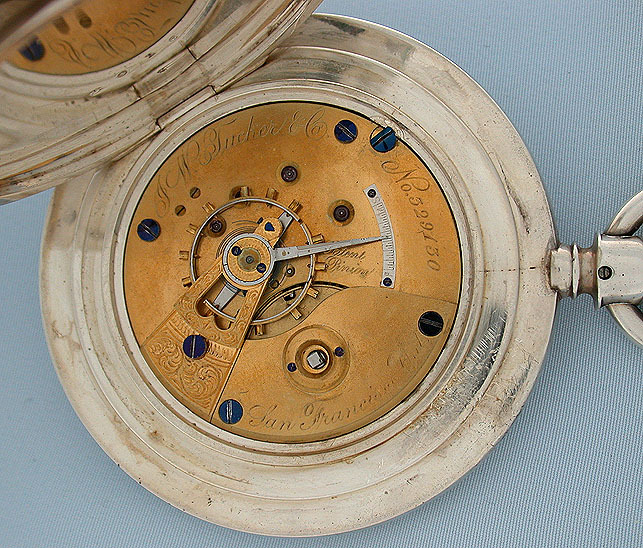 Gilt Elgin 13 jewel movement.